1. Beckles G L, Miller GJ, Kirkwood BR, Alexis SD, Carson DC, Byam NT. 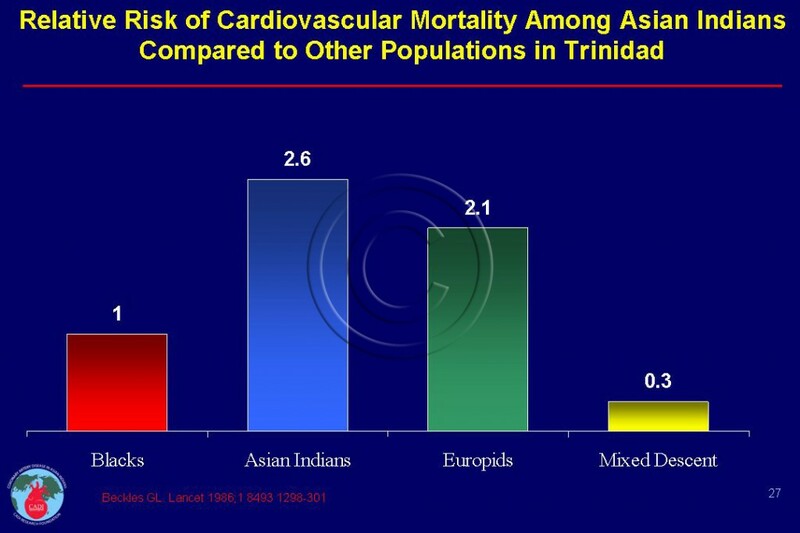 High total and cardiovascular disease mortality in adults of Indian descent in Trinidad, unexplained by major coronary risk factors. Lancet. Jun 7 1986;1(8493):1298-1301. 2. Miller GJ, Beckles GL, Maude GH, et al. Ethnicity and other characteristics predictive of coronary heart disease in a developing community: principal results of the St James Survey, Trinidad. Int J Epidemiol. 1989;18(4):808-817. 3. Ezenwaka CE, Nwagbara E, Seales D, et al. Prediction of 10-year coronary heart disease risk in Caribbean type 2 diabetic patients using the UKPDS risk engine. Int J Cardiol. Mar 6 2009;132(3):348-353. 4. Forouhi NG, Sattar N, Tillin T, McKeigue PM, Chaturvedi N. Do known risk factors explain the higher coronary heart disease mortality in South Asian compared with European men? 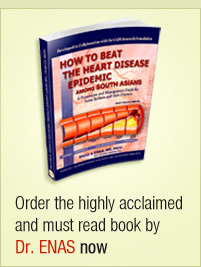 Prospective follow-up of the Southall and Brent studies, UK. Diabetologia. Nov 2006;49(11):2580-2588.